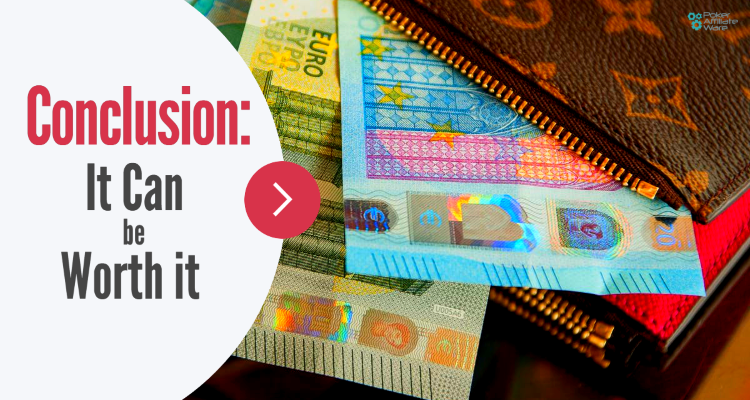 Many people have been playing online poker for years, using it to subsidize their usual income or to make a living from online cash games and / or tournaments. You might be one of those people or you might be thinking about giving poker a more serious try. In this article, we won't go into details about how to become a better player and make more money at the tables. There are many great guides covering that topic already. Instead, we'll focus on a completely different aspect of how you could be making extra cash from the game you love, which doesn't involve you playing cards. This other way is called poker affiliation and it is a term that you may or may not be familiar with. Whatever the case, you should definitely not disregard affiliation as an efficient way of making some additional money. In this ultimate poker affiliation guide for beginners, we'll provide you with everything you need to get started, from understanding what poker affiliation is and how it works, over where to go find the best affiliation deals, to how to effectively grow your affiliate network. We'll also touch upon the „dark side“ of the affiliation model and some pitfalls you should try and avoid. So, without further ado, let's get cracking. 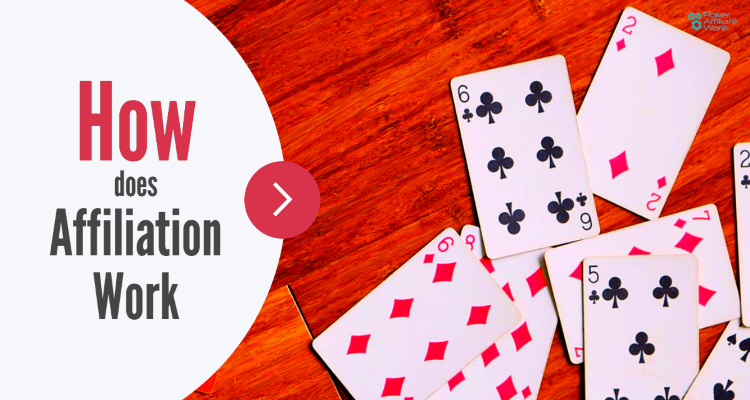 The first thing first, let’s explain the concept of poker affiliation and what it stands for. Like the name suggests, it is a business model where a person operates as an “affiliate” or partner of a poker room to help them bring in more players. The iGaming industry, poker and otherwise, has been operating primarily on this model for a couple of decades now. Before going into further detail about the affiliation, let’s talk about why this is an ideal opportunity for you as a poker player. If you’ve been around for a while, the odds are you have a decent network of contacts within the poker community through forums, Skype groups, and such. This is where you can find the first players to refer to start building your network. Furthermore, as a player yourself, you know what it is that players are after, so you’re in a great position to look for and establish the type of deals that you know are likely to appeal to your potential players. So, unlike starting a business that you’re completely new to, you probably already have rather thorough knowledge of where to start and how to kick things off in the right way. What You Give & What You Get: How Does Affiliation Work? The whole idea of affiliate marketing has come about long before online poker (or online anything, for that matter). 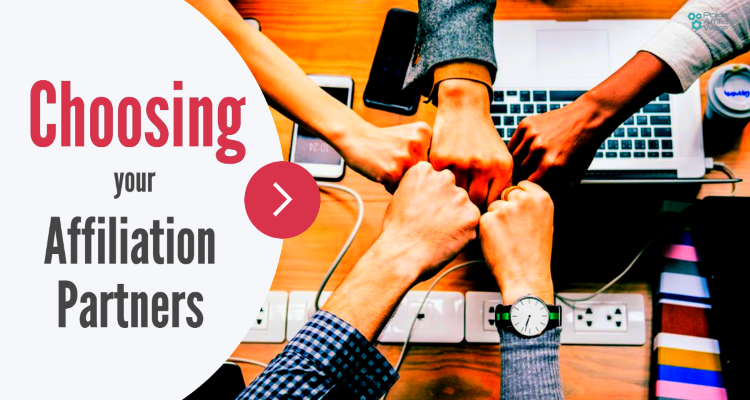 However, the rise of the internet has made affiliate marketing much easier and much more accessible to everyone with enough drive, desire, and knowledge about a particular industry or market. Every room and network has its own rules in place and later in the text we’ll discuss some of the best affiliate programs you can join these days. However, while percentages and amounts may vary, this is the basic foundation of all affiliation models. You either get a single payment per (qualifying) player or you get a share of their rake in perpetuity. Some rooms will give you an option, while some only work with one of these two models. One of the biggest questions players have about poker affiliation is, why would anyone sign up through them instead of simply going straight to the poker site and signing up at the source? This is definitely a good question and the answer to it is at the very heart of what affiliation, poker and otherwise, is all about. In short, you must provide something that players wouldn’t be getting otherwise. Back in the day, affiliates were given much more freedom, which allowed them to give extra rakeback to their players. So, you could entice players to play with you by giving them better returns than the room itself or other affiliates. However, this model created a rather self-destructive system, where many affiliates put nails in their own coffins by constantly upping the percentage they were giving back. So, these days, there aren’t as many “under the table” deals as before. Some still exist and we’ll discuss them towards the end of this text, but for now, let’s focus on other things you can do as an affiliate to add value for your players. All of these can be a great way to convince players to join through you. Furthermore, a good affiliate will work hard to set up contacts with room representatives so you can help your players if there is ever a problem or an issue that requires mediation. While this requires some effort on your part, you’ll quickly make a name for yourself if your players feel they’re being treated right. While giving players extra money through rakeback, exclusive tournaments, or other types of giveaways is always a great way to push your business forward, it is hard to do this at the very onset. If you’re a small-time player yourself looking to get into the affiliation game, you probably don’t have that much money kicking about. So, first you need to start earning. Luckily, there is still something you can offer at no financial cost – and that’s content! You may think that the internet is flooded with poker-related content of all shapes and sizes and you won’t be wrong. But that doesn’t mean you can’t still make it. What you need to do is set up your own website and be very creative. You probably can’t offer high-level strategy or high-quality videos found at professional coaching sites or similar. However, you can offer your own take on the game and share your own experiences via written articles, videos, and whatever other form of media sits best with you. If you’re creative and passionate about it, people will notice and the word will spread. You can’t be the best on the internet, but you don’t need to be! You need to be unique and entertaining. Of course, there will be “haters” and those who won’t want you to succeed. This is something that simply comes with the territory. You shouldn’t worry about any of that too much. In fact, if anything, if you start to get a lot of haters putting down you and your content, count it as an important victory. You’re being noticed and someone out there is probably afraid of you as potential competition. On one side, you’ll need to plan all of the things we discussed up to this point. You know where to start and how to go about things now. The rest is really up to you. Don’t be afraid to experiment and try different things. Apart from your time and a bit of money you’ll need to set up a website, affiliation is virtually free, so you won’t be “out of pocket” at least. At the same time, you need to figure out who you want to partner with on your journey. 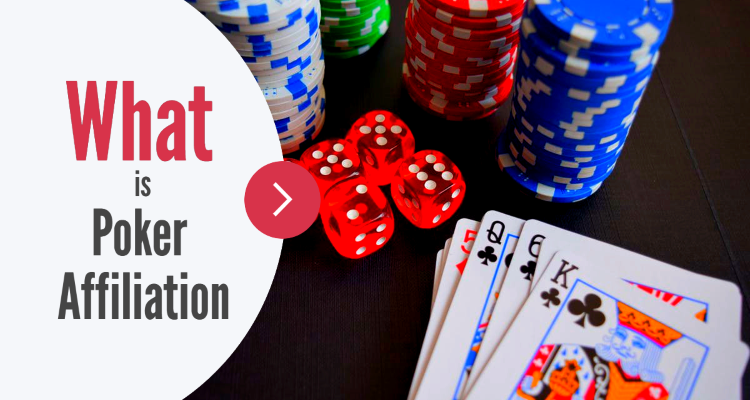 There are many poker affiliate programs out there and in this guide we’ll cover a few of the main ones that are probably the easiest to start with. Once you get more experienced and develop a better understanding of how things work, you can always expand with new deals and offers. Party Poker is currently one of the biggest and best-known online poker sites. Due to some of their recent changes, Party has managed to become very attractive for serious players looking for good deals. From the affiliate side of things, Party Poker only offers revenue share deals, whereby you can earn up to 25% of revenue from your players. The exact number depends on the number of players you refer to the room. It is important to know that Party explicitly forbids and “under the table” rakeback deals and offering them to your players is the best way to get a boot. The iPoker network consists of numerous poker sites and many of them will allow you to set up special deals. Unlike Party, many iPoker rooms still allow their affiliates to offer incentives for their players in the form of extra rakeback so this can be a powerful tool for attracting new players to sign up under you. As far as your commission is concerned, you’ll get a revenue share from your players’ rake. Most rooms on the network use the special RPV rake model, whereby winners in the game basically don’t get a lower rakeback percentage than the losers. It is a fairly elaborate model that takes some time to understand but iPoker is probably the network where you can get most variety. Microgaming Poker Network (MPN) is another large network where you can set up your affiliate deals. Back in the day, MPN also allowed various under the table deals and such but they were forced to put an end to this and severely restrict what their affiliates are allowed to do. So, you’ll have to play by the book if you’re promoting MPN rooms. Like with most networks, you’ll negotiate deals with individual rooms within the network. Most of them work on the revenue share model but the exact percentage is only established once you enter the negotiation. As a rule of thumb, you’ll usually start smaller and build up as you bring in more players. 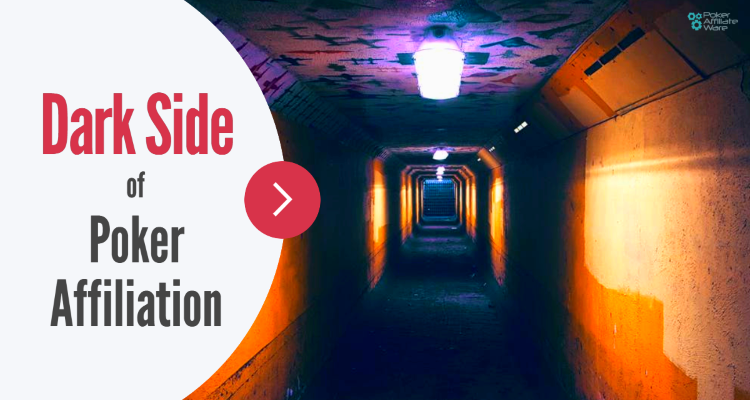 Before we wrap things up, it is worth devoting a few paragraphs to what’s often referred to as the “dark side of poker affiliation” – if only to understand why some of the things mentioned in this text are no longer a viable option, at least not if you’re working with reputable rooms. If you’re new to the affiliate business, you may be wondering what’s wrong with incentivizing your players by giving them a share of your profits. After all, it is your money and you can do with it as you please. Plus, in most other industries, no one really cares if you give your customers special deals, rebates, or cashback offers. What happened in online poker, though, was that the number of people looking to make it as affiliates became huge. These “affiliates” refused to add any real value like we discussed earlier but were rather content to steal players from other affiliates by offering better deals, i.e. giving back more money. To respond to this, other affiliates could only do the same, increasing player returns and lowering their own margins, creating a vicious circle where it wasn’t uncommon for some players to get more than 100% of their rake back after straight up rakeback, bonuses, races, etc. Clearly, this model was unattainable, as rogue affiliates managed to get heaps of players but weren’t making any money off of them. This led to various scams and many players being stolen from, not getting their promised rakeback. It wasn’t bad just for players and affiliates but also for the associated rooms because, at the end of the day, they were the ones who let the whole thing blow out of proportion. You’ll still find rooms allowing you to offer under the table deals and similar promotions but I advise caution when dealing with these operators. As mentioned, all the big names have moved away from this model for the reasons described above. So, the ones still allowing it are usually the ones struggling for business and willing to do whatever it takes. From a purely business perspective, associating yourself with these brands is probably not a good idea. While it may work for a little while and you might sign up some players, if the room decides to simply cut you off or goes under, you’ll be left with little to no recourse. And, all your players will be looking at you to deliver what you’d promised. You can easily become a poker affiliate. Signing up with an affiliate program is usually very easy and straightforward. However, to succeed, you will need to put in some extra effort, especially at the start. This guide provides some thoughts and ideas on how to go about this and where to start. If you enjoy poker as it is and spend a lot of time playing, reading forums, and visiting other poker-related sites, you’re probably losing money by not being an affiliate yourself. If you start building your network today, even if you devote only fifteen minutes to it every day, you could start making some extra money within a month or two. And, from there, who knows? The bottom line is, like with every other business, becoming a successful poker affiliate takes time and effort. Your success will depend directly on how much effort and imagination you put towards achieving your goals. But the fact of the matter is, even if you sign up a dozen decent players, you can expect a nice income from them for the foreseeable future, why not give it a shot and see where the journey takes you? Why 2018 is the Right Year to Get into the Affiliation Game! A great chance for PAW affiliates! Party Poker announces the start of its best summer promotion yet!